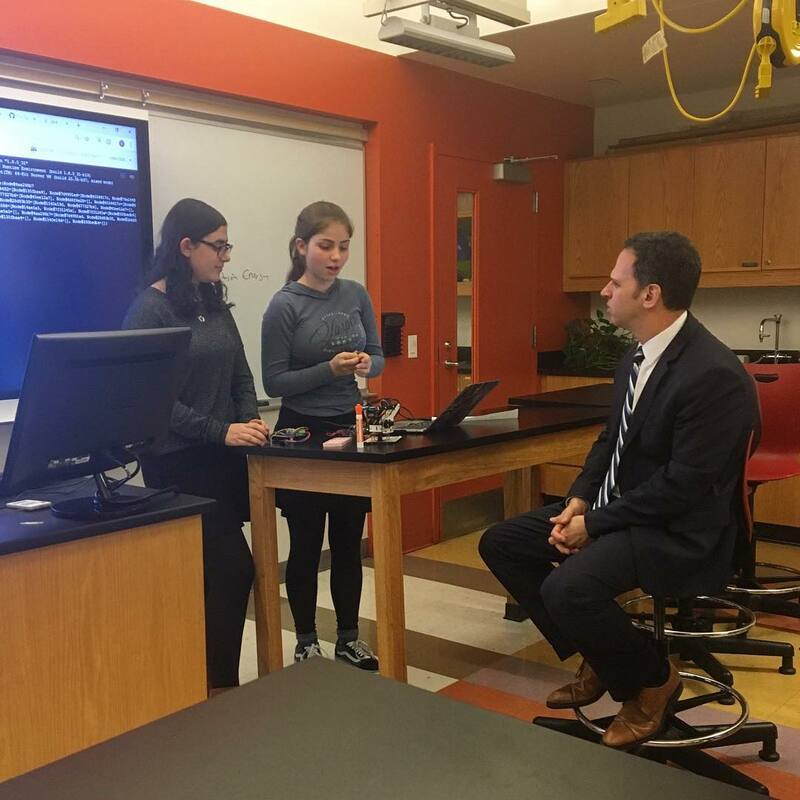 NYS Assemblyman Dan Court and members from Teach NYS visited the Upper School to see the STEM program. They visited two junior TEC classes, a ninth grade biology class, and a tenth grade math class. They met with members of the administration and members of the RamTEC faculty to discuss the new TEC department in the school. Lastly, they visited a science lab where they saw presentations given by the three captains of the engineering club: Daniella F. '20, Josephine S. '20, and David A. '19. They were accompanied by former charter trustee and co-chair of Teach NYS, Neil Cohen, and current Ramaz treasurer Jimmy Haber.